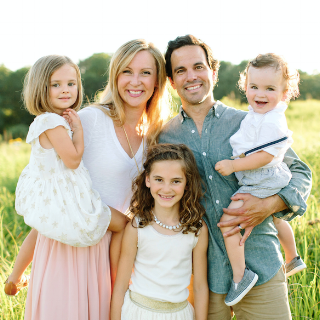 Read the stories below about families you might meet along your journey to membership. 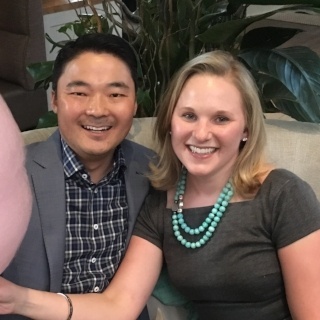 Nick and Annie joined North Oaks just in time for the golf season. Now, the two are huge advocates of joining a private golf club. 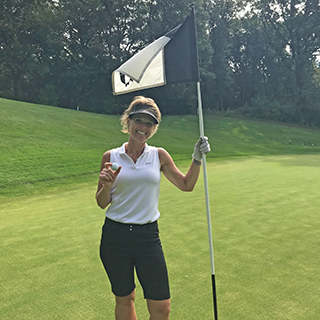 Before joining North Oaks Golf Club, the Stalsberg's, like many others, thought it was a guy’s place to go and golf, that you had to be a good golfer or be conducting business on the course to join. And they definitely didn’t see it as family-oriented entertainment. Now that they’ve been members for more than a year, that’s all changed. Mike's story is so inspirational, we love to share it. Mike was a long time golfer until his wife of 47 years, Colleen, became ill. He put aside everything to take care of her. After she passed, Mike realized he had become unhealthy and decided to, once again, pick up his golf bag and head out to the course. He also joined Medifast where the combination of the two and commitment to his health allowed him to lose 90 pounds! Mike embraced golf and decided he was going to golf 100 rounds in one season. 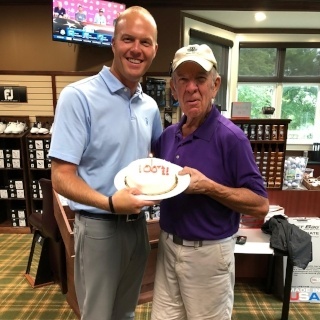 With support from friends, family and the North Oaks membership, he accomplished his goal. Mike has become a household name at the golf club. If you didn't play golf with him during the 2018 season, chances are you've heard about him. Mike started with a goal to play 150 rounds before the course closed, but actually ended up exceeding his goal! As the sun rises over the first green at North Oaks Golf Club, Joe Jesmer and his colleagues begin their day of lawn care and course maintenance. 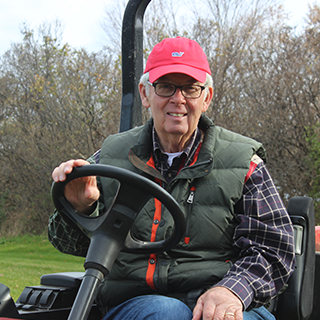 Joe, 76, is one of the club’s many seasonal employees. He works on the grounds crew with about 25 others, only three of which are retirees. And he loves every minute of it. Joe is proof that seasonal jobs aren’t just for high school and college students. Here’s his story. If you happened to see two young boys hitting golf balls at the driving range or practicing at the putting green this summer at North Oaks Golf Club, chances are it was 12-year-old Christian Goralski and his 10-year-old brother Ryan. It may seem like a lot, but for two boys who have been golfing since they were toddlers, it's a whole lot of fun. 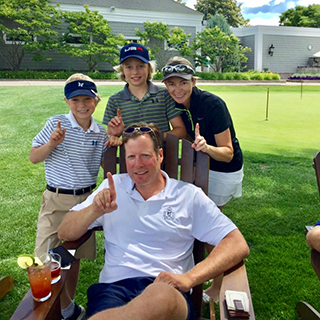 The Goralski family is one of many that take full advantage of our golf membership for every member of the family. 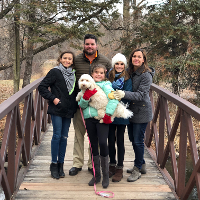 The Goralskis are happy they made the decision to join North Oaks Golf Club because it's a great way to spend time outdoors as a family and it has really connected them to people in the community. Sometimes you just need to take time off from work and go play some golf. At least that's what Molly Schnagl did this year. Although she works out of her home, Molly also travels frequently as the busy owner of Tomegan Marketing Group. But this summer, she slowed it down to focus on another passion of hers — golf. "I took the lion's share of the summer off," she says. "I focused on playing a ton of golf, and had a lot of fun." Although more men tend to play golf than women, Molly says some private golf clubs are much more welcoming to women than you might expect. It's all about finding the right one. Jim and Shelley Diffley aren’t unlike many parents of adolescent kids. Their three daughters — Marie, 14, Anna, 12, and Claire, 9 — and a shared full-time job as real estate agents keep Jim and Shelley busy year-round. The Diffleys are a great example of members who use our golf club in a different way. Here’s their story. The process from just a number at a public course to becoming a private club member at North Oaks is effortless. Click the button below to learn more about membership and let us walk you through the painless process. Take the "Meet The Members" guide with you. Want to read these profiles of our members, but short on time? Click the button below to download the guide and read it at your convenience.